A self-Assessment tool for States and Counties Administering Child Welfare Services A self-Assessment tool for States and Counties Administering Child Welfare Services 2012 Nat. Addressing the Mental Health Needs of Young Children in the Child Welfare System Addressing the Mental Health Needs of Young Children in the Child Welfare System 2010 Nat. Changing the Course for Infants and Toddlers - A Survey of State Child Welfare Policies and Initiatives Changing the Course for Infants and Toddlers - A Survey of State Child Welfare Policies and Initiatives 2013 Nat. Changing the Court for Infants and Toddlers - A Survey of State Child Welfare Policies and Initiatives Changing the Court for Infants and Toddlers - A Survey of State Child Welfare Policies and Initiatives 2013 Nat. Child Welfare and Head Start Partnerships Child Welfare and Head Start Partnerships 2011 Nat. Developmental Approach to Child Welfare Services for Infants, Toddles, and Families- Self-Assessment Tool Developmental Approach to Child Welfare Services for Infants, Toddles, and Families- Self-Assessment Tool 2012 Nat. Early Education: Critical Connections for Children Who are Abused and Neglected Early Education: Critical Connections for Children Who are Abused and Neglected 2006 Nat. * Q & A: Head Start and Early Head Start for Children in Care * Q & A: Head Start and Early Head Start for Children in Care 2012 Nat. 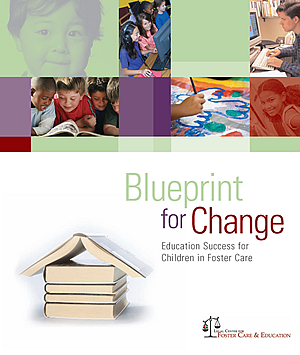 Research Brief on Prereading Deficits in Children in Foster Care Research Brief on Prereading Deficits in Children in Foster Care 2011 Nat. SERIES@#58; An Integrated Approach to Supporting Child Development SERIES@#58; An Integrated Approach to Supporting Child Development 2012 Nat. State and Jurisdictional Eligibility Definitions for Infants and Toddlers with Disabilities under IDEA State and Jurisdictional Eligibility Definitions for Infants and Toddlers with Disabilities under IDEA 2006 Nat. State Issues and Innovations in Creating Integrated Early Learning and Development Systems State Issues and Innovations in Creating Integrated Early Learning and Development Systems 2011 Nat. Using a Developmental Approach in Child Welfare Using a Developmental Approach in Child Welfare 2012 Nat.